Prolific singer-songwriter BJ Barham is hitting the road this summer on The Great 48 Tour–carrying just his guitar and his songs, Barham will perform acoustic shows in 48 states across the United States, which brings him to Nashville’s City Winery on Monday, May 15th. 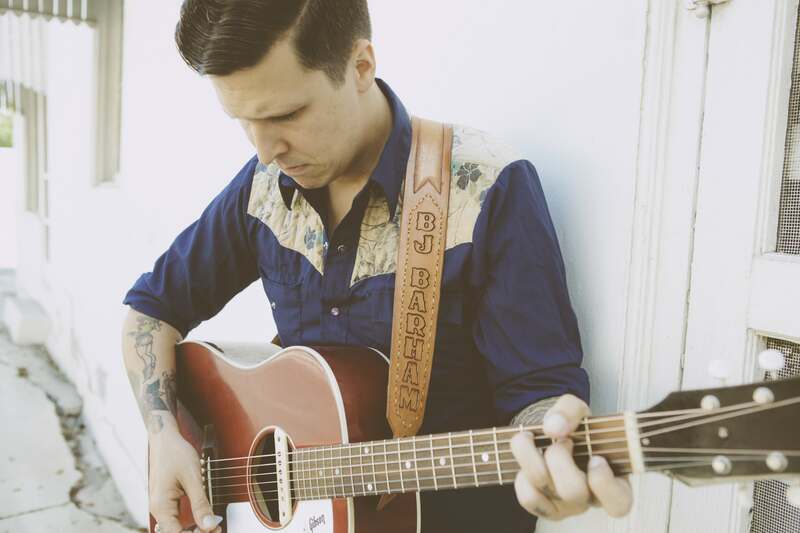 The American Aquarium frontman is touring in support of his debut solo album Rockingham, which landed in the Top 10 on Billboard’s Heatseekers Albums chart and Americana/Folk Albums chart, and garnered much acclaim for his masterfully-crafted storytelling and narratives that reflect upon the meaning of home and growing up in rural america. Rockingham was written in the days following the Paris terrorist attacks on Nov. 13, 2015. Headlining a show that same night in Belgium, the impact and shock of the moment gave Barham perspective on the circumstances that helped shape him. The tragedy prompted him to think of all the people and places who had walked with him throughout his life. Thus, Rockingham was born, a compelling collection of songs about fictional characters set in Barham’s real-life hometown. With stories revealing the struggle of blue-collar labor, a regional sense of pride and heartbreaking reflections of life’s twists and turns, Rockingham is easily identifiable to Barham’s hometown of Reidsville, NC. Once a thriving community supported by tobacco production and textile mills, Reidsville, like so many other towns, suffered from economic depression as the companies that supported so many shut down. With songs like “American Tobacco Company,” “O’ Lover” and “Madeline,” Barham paints his picture of small town life through a striking analysis of the brokenness of the American dream. Click here for tickets and show information.